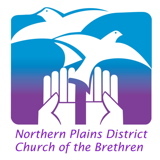 “District News and Announcements” is for members and friends of the Church of the Brethren in the Northern Plains District. District Leaders, Commissions, Committees, and those doing special ministries share information on programs and activities. Local churches share news and invitations. Forward this e-newsletter to others interested in Church of the Brethren life and work in the Northern Plains. Send information or feedback to Tim Button-Harrison, District Executive, nplainscob@gmail.com or Jess Hoffert, District Communications Intern, nplainscom@gmail.com. Click above for the new "Sharing Our Stories" feature. Click above for a slideshow of District Conference. Click above to like Northern Plains on Facebook. 1. VISIT the Northern Plains District website. Check out the interactive congregations map with important addresses, phone numbers and driving directions to churches in the district. Take the survey while you're on the page to let us know what you'd like to see on the site in the future. 2. LIKE “Northern Plains District (Church of the Brethren)” on Facebook. Get the latest information about upcoming events and check out photos and video from this year’s District Conference. Best of all, use Facebook to connect and reconnect with your fellow Brethren. 3. SUBSCRIBE to “District News and Announcements." If you're reading this right now, you probably don't need to do that...but be sure to let your friends know about this, too. Our monthly e-mail newsletter includes submissions from folks all over the district. It’s a great way to see what our fellow brothers and sisters are doing in other congregations. Those who already receive District News and Announcements do not need to re-subscribe. Please also consider being your church’s Communications Partner for the district. We are looking for a representative from each congregation to submit prayer requests to the District Communications Intern, so they can pass them on to the church that’s praying for you that week. If you are interested in being the Communications Partner, or have any other questions or comments about District Communications, e-mail Jess Hoffert at nplainscom@gmail.com. Come to a FUN-RAISER for the Northern Plains District: October 16, 2011 @ 4 p.m at Ankeny Church of the Brethren! Enjoy a time of trivia games and sing-along folk music with Tim Button-Harrison, followed by a SOUP SUPPER. Open to all Senior High Youth (including recent graduates)! Enjoy plenty of fun and games, singing, fellowship and spiritual time at the District Youth Retreat. The fun starts Friday evening (November 11) and continues through Sunday morning (November 13) at Ivester Church of the Brethren. Reconnect with old friends and make new ones as well. Take a break from your busy fall schedule to enjoy some time in God's presence. $35 registration fee covers the cost of everything, including meals. Executive Committee: Kathy Mack (Board President), David Whitten (Vice-President), Barbara Lewczak (Ministry Chair),: Rhonda Pittman Gingrich (Nurture Chair), Laverna Sincox (Stewards Chair), Judy Mill (Witness Chair). Ex Officio on Executive Committee: Alan Oneal (Recording Secretary), Diane Mason (Treasurer), Ida Van Westen (Moderator), Roger Emmert (Moderator-Elect), Tim Button-Harrison (District Executive), Lois Grove (Leadership Development). We also want to recognize those District Board members who completed their service: Linda Lantz, Mark Gingrich, Sandi Cox, Jeanne Helleso, Aaron Peter. Thank you for your leadership! It is now the month of October: time again to write on the theme of honoring our pastors. Since October is Pastor Appreciation Month, I want to appeal to each church in the Northern Plains District to make plans to celebrate your pastor’s presence among you in a special way. I received a note of affirmation the other day from one of our churches, signed by a host of people, most of whom I knew. A simple gesture, but what a morale booster. I know this congregation takes the act of affirming leadership very seriously because they wanted more information and ideas when I wrote an article similar to this two years ago. That article stated 20 different ways to show your appreciation to your pastor. My challenge to you is that I receive a letter, phone call or e-mail from each church in our district telling me how you celebrated your pastor’s presence in your church. Next October I will publish that list! It seems the disasters continue to come. We now have flooding in Pennsylvania as a result of Hurricane Irene. There is a desperate need for cleanup buckets as the supply has dwindled to around 30 as we write this. Dawn), One package of 48-50 clothes pins, Clothesline (two 50 ft. or one 100 ft.), Five dust masks, Two pairs latex gloves (like Playtex), One pair work gloves, 28-bag roll of heavy duty trash bags (30-45 gallon), One 6-9 oz bottle insect repellant (not aerosol). 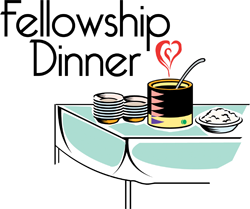 October 11, Central Iowa Brethren Pastors, Ankeny COB, 10 a.m.
October 14, Pork and Turkey Roast Dinner, Ottumwa COB, 4 p.m.
October 16, District Fun-Raiser, Ankeny COB, 4-7 p.m.
October 29, Iowa City Area Brethren Gathering, First Mennonite Church of Iowa City, 5 p.m.
November 8, Central Iowa Brethren Pastors Meeting, Stover Mem. COB, 10 a.m.
December 13¸Central Iowa Brethren Pastors Meeting, Ankeny COB, 10 a.m. Copyright © 2011 Northern Plains District, All rights reserved.